In 1983, student delegations representing 20 schools gathered at Georgetown University in Washington, D.C. to participate in what they assumed would be a one-time simulation. 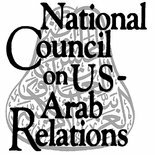 Over the next 27 years, the National Council on U.S.-Arab Relations’ Model Arab League (MAL) has grown to the point where 14 Models are held annually throughout grassroots America. These November-through-April events would include over 2,000 students, 200 universities and secondary schools, hundreds of faculty advisers, and be held in 11 cities. Since that first year, over 35,000 students have participated in the Model Arab League Program. The Models have no peer as a proven effective way to discover and promote excellence among America’s leaders of tomorrow. They offer students an unsurpassed opportunity to acquire and develop practical leadership skills directly related to the United States and one of the world’s most vital regions. In the process, students learn about the most important social, economic, cultural, and political issues facing Arab leaders and ordinary citizens. 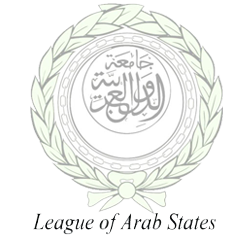 Representing one of the Arab League’s 22 member-states, student delegates work to achieve consensus on questions with which real-life diplomats wrestle daily. They write, debate, and pass resolutions that seek to resolve some of the Arab countries’ most difficult challenges. The dynamics and interactive nature of the role-playing among the students stimulate critical thinking, heighten creativity, expand knowledge, and cultivate understanding as no book, video, or coursework ever could. Participation in a Model is of value to all students regardless of their academic major. It matters little if at all whether their school has an academic course offering on the Arab countries, the Middle East, or the Islamic world. Students gain invaluable firsthand leadership experience and hands-on training. They acquire this through the Model’s constant challenges and interaction in the course of public discussion, the application of time management skills, the use of parliamentary procedure, and the dynamics of debating, writing, and editing. All this occurs under pressure and tight deadlines that mirror the actual realities and tensions inherent in the give-and-take that comes with activism in public affairs. In experiencing how a resolution they have prepared succeeds or fails on the basis of whether their fellow delegates find its rationale sufficiently persuasive, student delegates also refine their interpersonal skills. At the final session, adult judges with experience in international relations announce the names of individual students and delegations whose performance has earned them highly coveted awards. These and other student participants are provided priority consideration for partial scholarships in the National Council’s language and area studies academic programs in the Arab world. At the end of any Model, all delegates come away having practiced and improved considerably the kinds of skills that will serve them well all their life in any field they pursue. This one-of-a-kind practical experience brings students and their faculty advisers back year after year. Study visits to Arab countries.